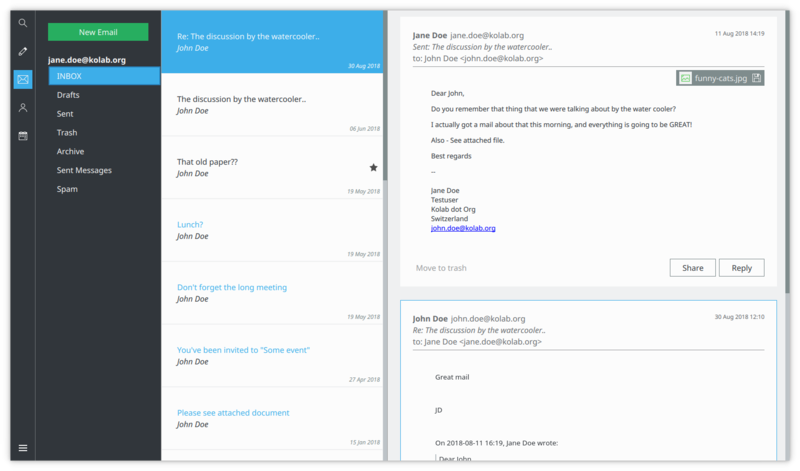 "Kube is a modern communication and collaboration client built to just work. It provides online and offline access to all your mail, contacts and calendars. With a strong focus on usability, the team works with designers and UX experts from the ground up, to build a product that is not only visually appealing but also a joy to use." We are an active project spearheaded by Kolab Systems in collaboration with the KDE community. We initially focus on email and calendaring only to ensure that the core features of the application are in place before going forward. Kube comes with end-to-end encryption based on GPG. There when you need it, out of your way when you don't. Enter your credentials and you're good to go. No configuration required. Kube is, and always will be, fully Open Source. Join us!